In January, the TSU's Lucy Baker and Jacob Doherty joined 70 other urban scholars for a week-long retreat at the Indian Institute for Human Settlements in Bangalore. The retreat was the initial project-wide gathering of the international PEAK Urban research team (with partners from universities in South Africa, China, Colombia, and India). The week comprised discussions, poster-sessions, reading groups, excursions, and debates about the future of cities. Bangalore was a particularly apt location for this conversation, as field trips to see the changing urban form, economic base, transport systems, and environmental hazards of the city made clear. 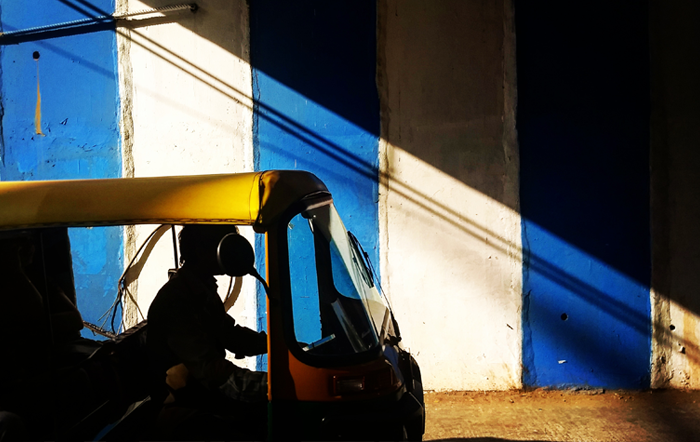 Bangalore embodies many of the challenges facing contemporary cities: the mobility needs of growing populations, pressures on the urban environment and its surroundings, industrial transformations, and pronounced inequalities. The city is experimenting with many emergent solutions including investment in mass transit, smart-governance systems, and partnerships between academics and urban practitioners. The question of how academics and uban practitioners can work together to identify, define, and respond to social and environmental urban issues formed a large portion of the retreat. Researchers exchanged ideas and experiences of learning with and from municipal governments, health care workers, housing rights activists, and transport workers to better envision and plan for cities' futures. Another major topic of discussion centred on how to forge a new "science of cities" that can overcome disciplinary boundaries and create multi-method collaborations. Ideas around how researchers might combine the insights of big-data and ethnography, of statistical and historical analysis, and of critical and applied policy perspectives were shared.